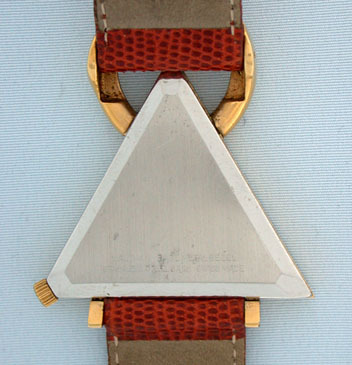 Interesting Swiss Waltham oversized Masonic wrist watch circa 1965. 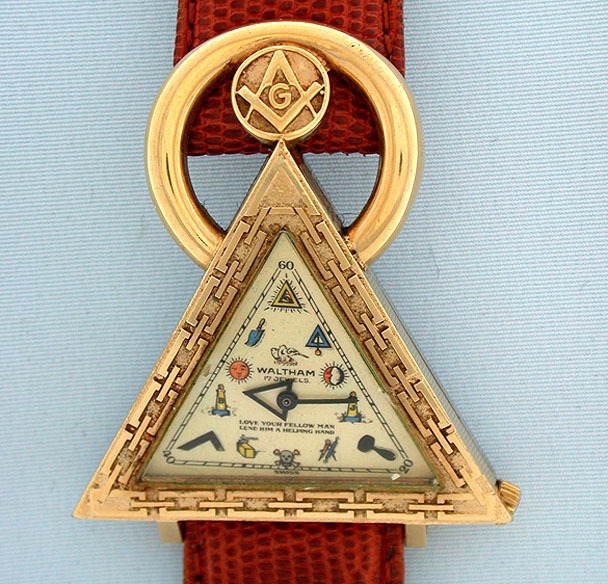 The dial painted with Masonic symbols and with typical crazes in the overglaze. Gold filled top and stainless steel back. 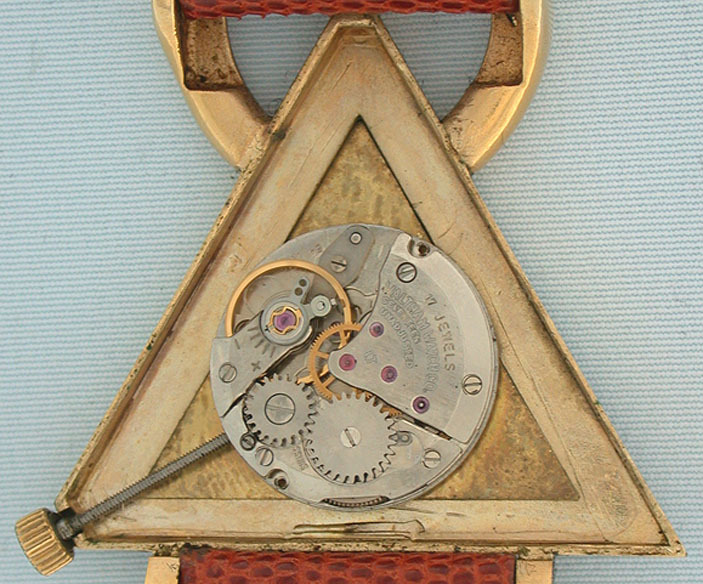 17 jewel shockproof movement.